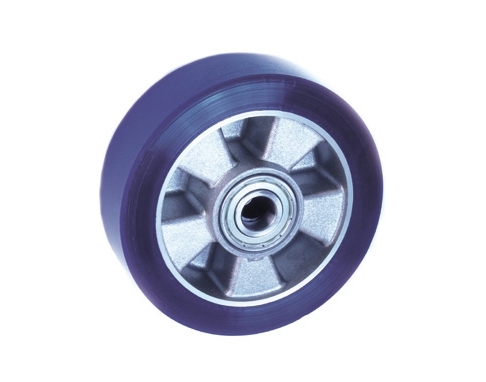 Multi-purpose heavy-duty castor with a “soft” polyurethane wheel. The special feature of the soft polyurethane bandage: Very insensitive to shocks and bumps. 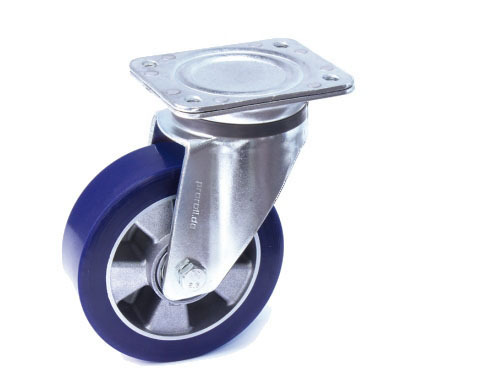 It runs easily, quietly and with low vibration even on uneven floors. The blue bandage is abrasion and non-marking. 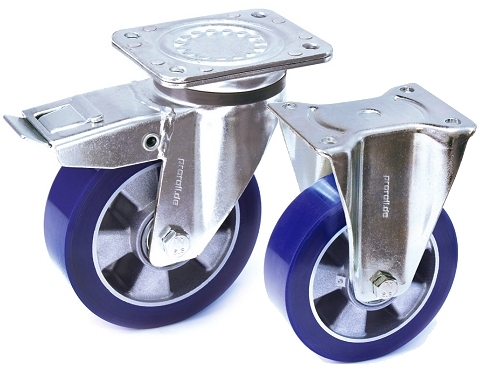 This role is PAK & RoHS compliant, which proroll constantly confirms by repeated testing.